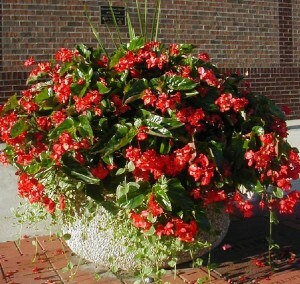 Downtown Piqua’s planters will be filled with red dragon wing begonias this summer and fundraising for the annual beautification program is now underway. The Mainstreet Piqua Beautification Committee is responsible for filling the planters with plants each spring and keeping them beautiful all summer long. Prior to the plants being planted each planter will be topped off with brand new soil to help the plants get a good start to the summer growing season. The summer planters are planted by members of the Mainstreet Piqua Beautification Committee with assistance from the City of Piqua. During the growing season they are maintained by members of the Green Leaf Garden Club and watered by employees of the City of Piqua. 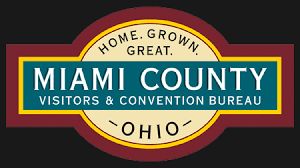 Mainstreet Piqua is currently raising the funds needed to purchase the flowers and plantings for the planters. In addition to the planters, Mainstreet Piqua is raising funds to purchase a new set of patriotic summer banners for our downtown light poles. The “Piqua Pride” banners have been used in downtown Piqua for 12 seasons but they need to be replaced as they have become worn and are showing their age. The cost to replace each banner is approximately $50. It was the Mainstreet Piqua Beautification Committee that raised the money for the new Christmas banners and the “Fall in Love with Piqua” fall banners. The Mainstreet Piqua Beautification Committee includes Ruth Koon, Chair, Jean Franz, Rita Enderle, Marsha Koon, Alice Gordon, Ruth Cameron, Ann DeBrosse Comer, Judy Terry and city planner Chris Schmiesing. Those wishing to contribute to the planter program or help sponsor the new patriotic summer banners may send a check made payable to Friends of Mainstreet Piqua. The mailing address is PO Box 1703, Piqua, OH 45356. 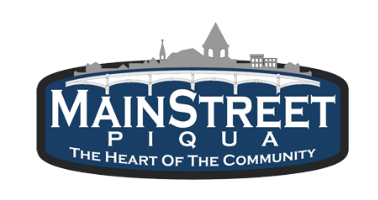 All contributions to the summer beautification program are tax deductible at Friends of Mainstreet Piqua is a 501(c)3 organization. For more information about the planter program, or Mainstreet Piqua, please call 773-9355.